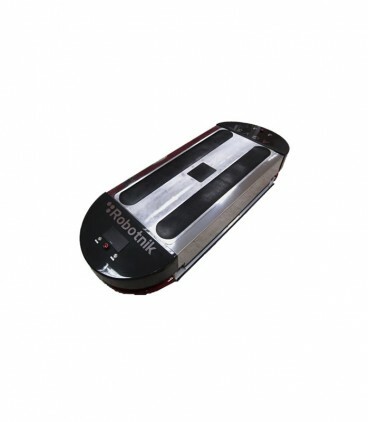 Mobile robot perfect for research environments in both indoor and outdoors. Choose the components you want to include in the product before requesting more information. 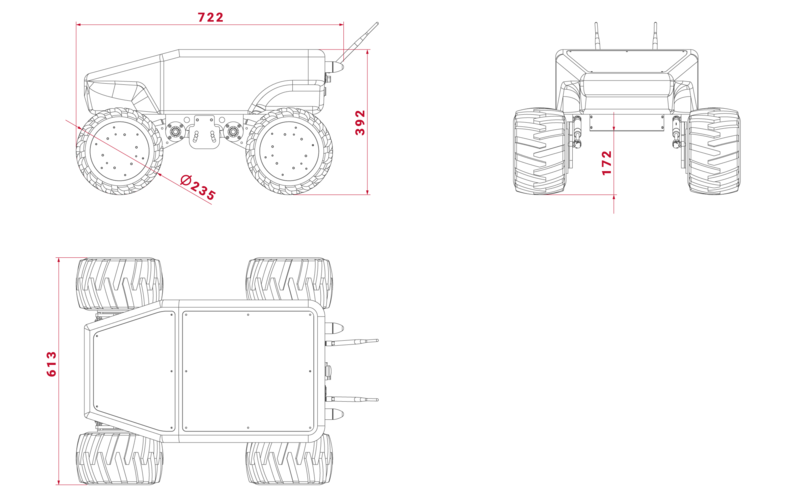 The Robotnik's SUMMIT-XL has skid-steering kinematics based on 4 high power motorwheels. Each wheel integrates a hub brushless motor with gearbox and encoder (optional). SUMMIT-XL has two possible kinematic configurations. The omnidirectional configuration mounts mecanum wheels on an independent suspension system. The mecanum wheels can be easily replaced by conventional wheels (rim mount), thus allowing easy switch from the indoor omnidirectional configuration to the versatile skid-steering configuration, both indoors and outdoors. The odometry is computed with the use of the four encoders and a high precision angular sensor mounted inside the chassis. The strong mechanical structure allows to carry high loads. There are several suspension shocks possibilities. They can also be mounted at several positions to modify the robot clearance. The robot base can navigate autonomously or teleoperated by means of a PTZ camera that transmits video in real time. The common sensor options include a Hokuyo laser scanner and a range of RTK-DGPS kits. It also has internal (USB; RS232 and GPIO) and external connectivity (USB, RJ45 and power supply 12 VDC) to easily add custom components. The control architecture is open-source and modular, based in ROS.